Filmed in the heart of Limpopo, South Africa, the village grannies (aged 55 - 84) lace up their soccer boots and start kicking their way through centuries of taboos. 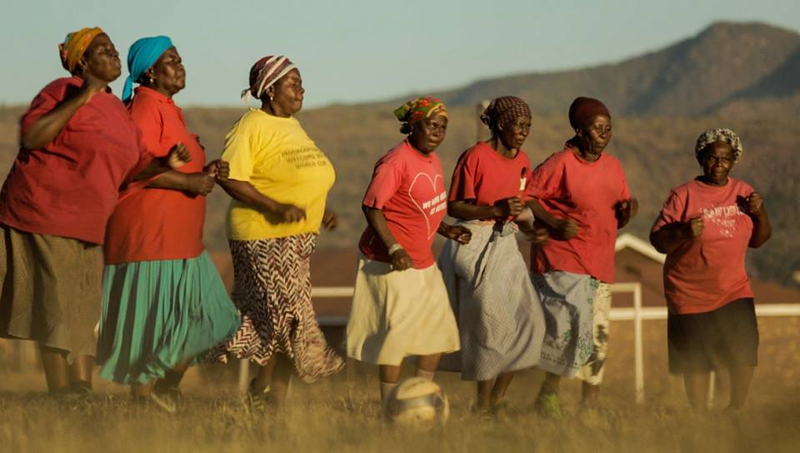 Dealing with their own stories of abuse, poverty & neglect these women come together on the soccer pitch for their weekly dose of therapy- both emotional & physical, and to celebrate being alive. Through their camaraderie on the field they play serious soccer then break into laughter and song as they wage a singular fight for a decent life, true health and a chance to experience joy in a brutal world. Audience Award for Best Short Film, Seattle Int’l Film Festival.